Welcome to our Student's Guide. We hope you have as much fun learning about this naturally-occurring phenomena as we did while making this website. 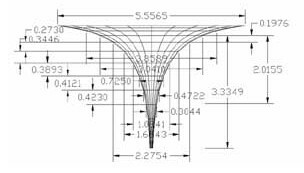 Attention Science Teachers: Do you want a large funnel for your science demonstrations? We have some special educational options available for you. Please contact us and ask for "teacher options". 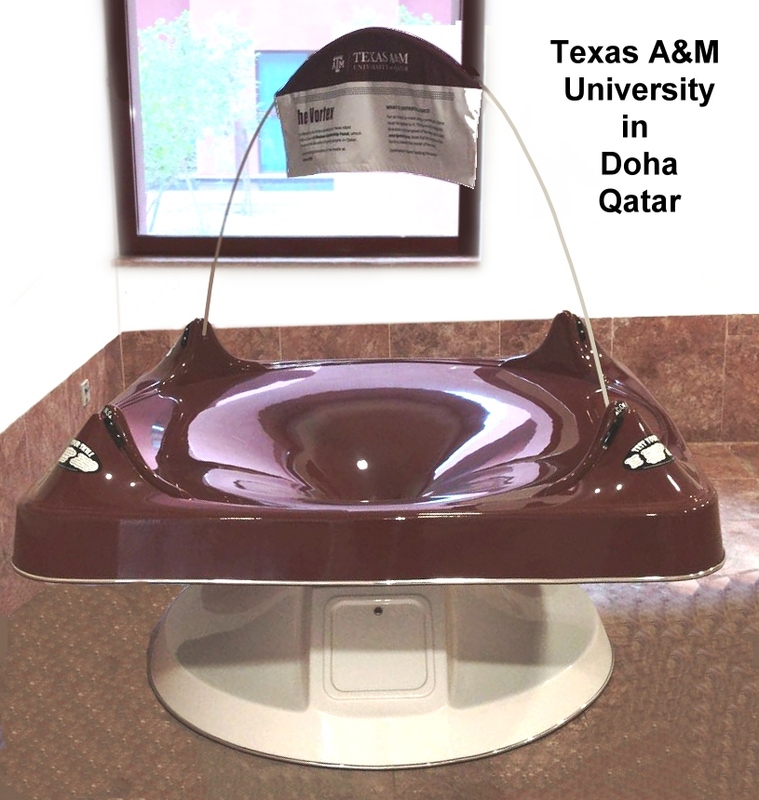 The Student Guide is made possible by a grant from Divnick International, Inc., manufacturer of the Mini Vortx Wishing Well Toy. 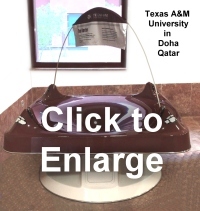 Feel free to use any of the information or pictures for your exhibits, classes, or any other educational projects. If you don't already have one, we invite you to take this opportunity to get your own Vortx® and see why these toys are so much fun. With the Vortx, you can experience some of the phenomena we will cover in the Student's Guide. In addition to just watching the coins spin around the funnel, there are several games and experiments you can perform with the Vortx®. 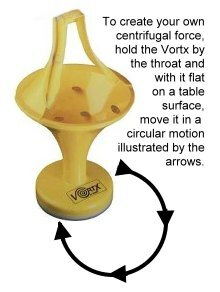 The most popular is called "coin-limbo" where you let the coin descend down the funnel, and then make it climb back up by moving the Vortx® in a circular motion as illustrated here. By moving the Vortx®, you are actually creating the centrifugal force that keeps the coin rolling, similar to the outward force an a car and driver at a race track. The lower you let the coin descend, the more challenging it is to make it climb again without allowing it to fall over. No matter what your skill level is, you can challenge yourself because NO ONE has every been able to bring it back up from the vertical position. Play "Coin Limbo" by creating your own centrifugal force! In fact, you can keep a coin rolling as long as your coordination lasts using the same circular motion described above. During a high school "Spin-a-thon" the world record was set by Rick Swartz for "the longest continuous rolling of a coin" at 33 hours and 16 minutes. The students got pledges of $1 per hour and raised lots of money for the school project. Another fun game is to see if you can toss coins in without the ramps and still make them spin around. You need to experiment to get the correct angle, rotation, and speed, but it is a lot of fun to conquer the challenge. A 1-gallon container holds approximately $300 worth of assorted coins and weighs about 60 pounds! 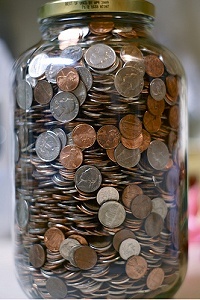 A 1-gallon container of pennies only holds about 6,000 pennies, or $60. Of course, this depends on how much you shake them to get the pennies to condense into as little wasted space as possible. If you stacked coins neatly into a 1-gallon container, it would hold about 25% MORE than the amount when they are just tossed in randomly. The reason is simple: Randomly piled coins have a lot of air space between and around them. When I invented the first Spiral Wishing Well, it was for an offering device in my church. My own children were about 7 years old, and along with their friends, they loved to watch the coins perform. It wasn't long before I realized this funnel would make a great fund raising device, and a business was born. I could never have imagined that over $1 billion worth of coins would be tossed into Wells for various charities around the world since then! Making the toy version was a natural step as it gave parents a chance to get their children their own mini-well and "take the fun home". 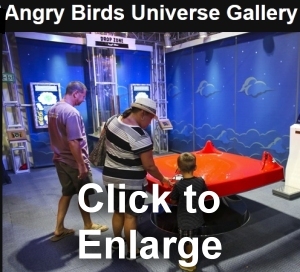 It provides a great learning device for children because of the physics it demonstrates. And of course, it encourages saving money, and that's always a good thing. So it has been my pleasure to be a part of so much that has happened with the Spiral Wishing Wells and Vortx's over the years. I hope they bring as much fun for you and your family, and that you enjoy the educational stories about whirlpools, tornados, planetary orbits, and the physics of the funnel shape.